three children and ourselves. The views were spectacular and the villa was very comfortable and spotlessly clean. The owners could not have been more helpful. 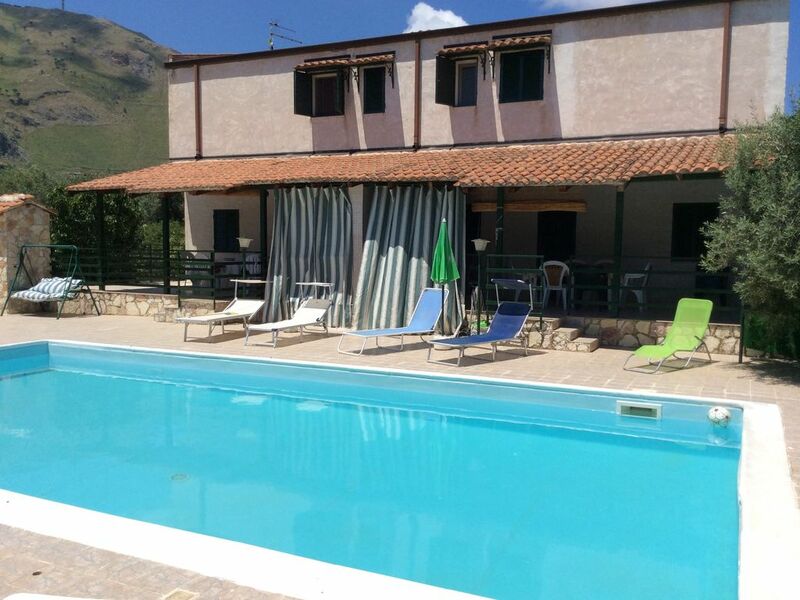 We had a lovely relaxing time, and will always fondly remember Giusy and Giuseppe and their excellent hospitality." "During our stay at this house we could enjoy of the peaceful and nice landscape where it is located. The pool (extermely cleaned) and the large porch with a secondary kitchen make it possible to live outdoor taking pleasure of the sun and the nature. It is remarkable to note the kindness of the owners. You feell like at home and know that if something is wrong they will always be there to kindly help you. Difficult to find something similar....and don´t loose the opportunity to try the fruits from the fruit trees around including the tomatoes ¡¡¡ excellent¡¡"
Nous avons beaucoup apprécié la maison, le jardin très bien entretenu et la piscine nettoyée chaque jour. Les propriétaires sont disponibles et de bons conseils. Localisation idéale pour se rendre sur Palerme et les alentours. Belle maison, magnifique location, l'hospitalité fantastique. Dans la maison c 'et' tout ce dont vous avez besoin pour passer de belles vacances et la piscine nettoyée tous les jours . Nous sommes très heureux .Merci Giusy. Tariffe scontate in relazione alla durata, Tariffe in funzione del numero di persone( dopo 4 persone supplemento), Richiesto supplemento per il riscaldamento in base alla stagione, Deposito cauzionale, Caparra richiesta alla prenotazione, Consegna delle chiavi da parte del Proprietario . Spese pulizie finali 50 euro.